On the shadow IFFP jury, we’re just finalising our shortlist; as the first stage of that shadowing process comes to an end, I’m about to embark on another one. 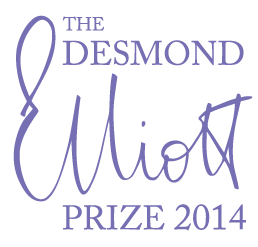 This time it’s for the Desmond Elliott Prize, which is awarded each year to a UK-published debut novel, written in English by an author who lives in the UK or Ireland (previous winners include Grace McCleen’s The Land of Decoration and Ali Shaw’s The Girl with Glass Feet). The judgeds for this year’s prize are the novelist Chris Cleave, bookseller Patrick Neale, and journalist Isabel Berick. Dan Lipscombe of the blog Utter Biblio has also put together a shadow jury to read and rate the longlist. As well as me, the shadow jury includes Jackie Bailey of Farm Lane Books; Heather Lindskold of Between the Covers; reader and reviewer Sarah Noakes; and journalist Kaite Welsh. I haven’t read any of these, so any first thoughts will be tentative, but… It seems a good mixture of talked-about titles and more obscure ones. I guess the biggest names on the list are Nathan Filer and Eimear McBride, who won the Costa and Goldsmiths Prize (two rather different awards, I’d observe) respectively for their books. Looking at the list from a structural point of view, it would have been nice to see more books by women and writers of colour, and more small-press titles. Nevertheless, there are some titles on there that I’m keen to read: besides the Filer and McBride, I’ve heard a lot of good things about the Byers and Sanghera; I’ve read a bit of the Clancy and really liked it; and I enjoyed Wilson’s BBC National Short Story Award winner a few years ago. I won’t commit to reviewing all the books; but I will be reading them all, and talking about as many as I can. You’ll be able to follow the shadow jury’s thoughts on each title on this page of Dan’s blog. It’s a shame, as you say, that there aren’t more books by women but I hope that you enjoy Sedition as much as I did. I’m rather hoping that Ms Grant sticks with books for adults now that she’s crossed over! Thanks for your comment, Susan. Sedition is next in my queue to read after The Spinning Heart, and I’m certainly intrigued by it.